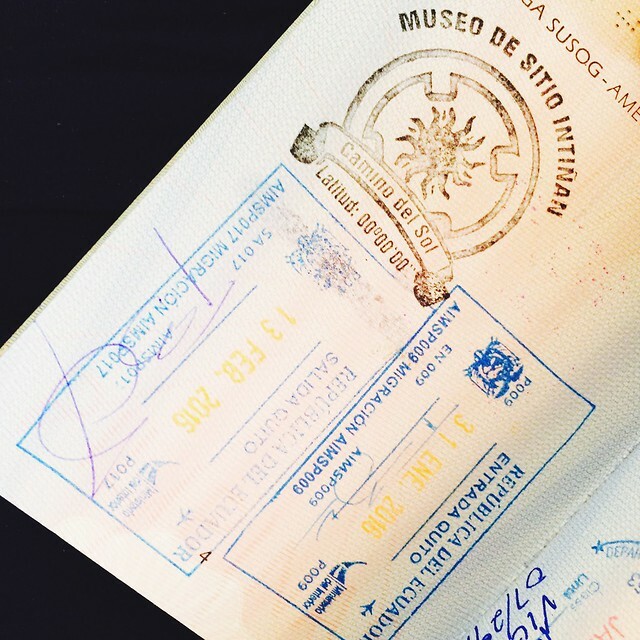 What would you do if you have to spend 12 hours at the airport waiting for your next flight? That would be sad, uninteresting and boring. I arrived at Quito from Esmeraldas around 12 noon and my flight to Houston will be at midnight. 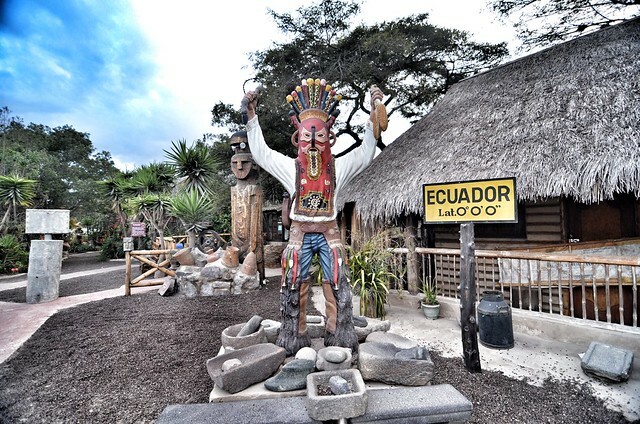 Thinking that I may never have the chance to visit Ecuador again, I saw to it that I can visit the Equator. So days before my flight, I contacted Happy Gringo for a half-day tour. It was quite pricey but considering that it will be hassle-free and safe, I took the offer. 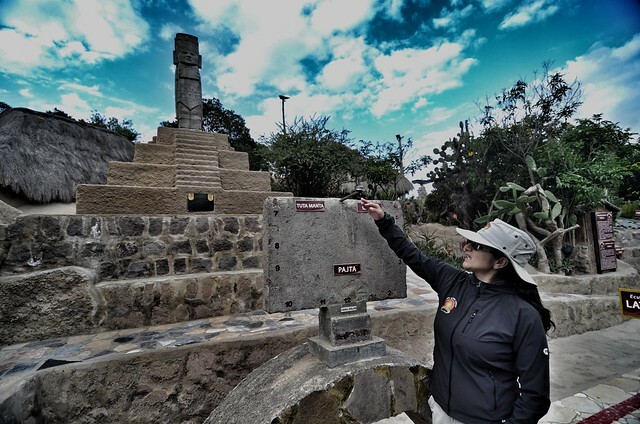 Based on my research, there are two museums at the equator. My time may be limited but I must visit both. First stop was at the Mitad del Mundo (Middle Earth). 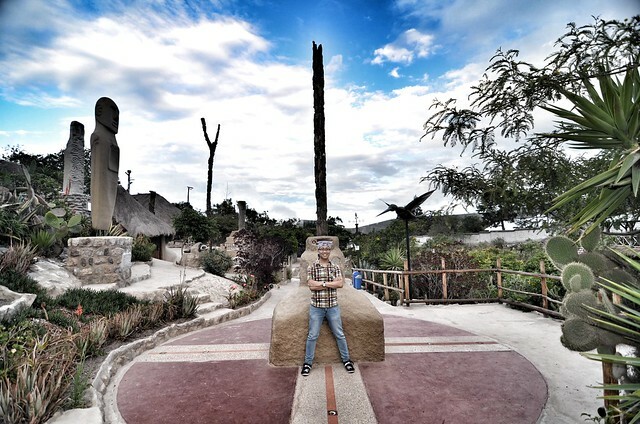 This was known to be as the Equator. I thought the museum is quite polished and well-maintained. The entrance fee was 3 USD and an additional 1.5 USD if you want to enter the Planetarium. 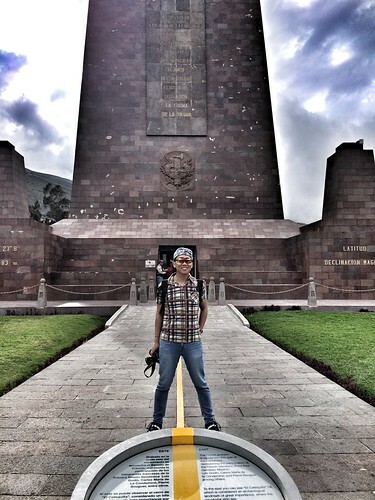 The yellow line divides the two hemispheres. Inti Ñan Solar Museum on the other hand is more raw. It has the feel of the past which I enjoyed more. 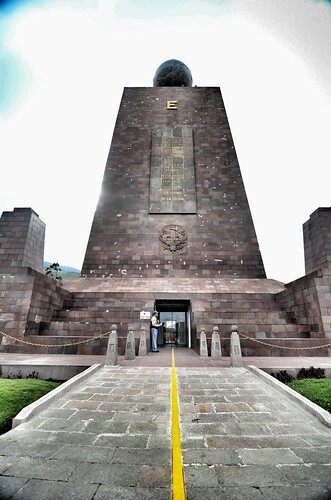 It is located a few feet away from Mitad del Mundo as is claimed to be the real equator. Here, the red line signifies the division of the two hemispheres. Entrance fee costs 4 USD including a guided tour. Lots of activities are being held at the Equator such as coriolis effect, strength test and balancing the egg on the head of a nail. Also, at the Inti Nan, a traditional and mythical Ecuadorian dance was showcased. I forgot the name of the dance but the guide told me that in the past years, if the goddess chooses you to join her in a dance and you are doing it very poorly, you will be given couple of whips. Ouch. dance from jacklord in japan on Vimeo. 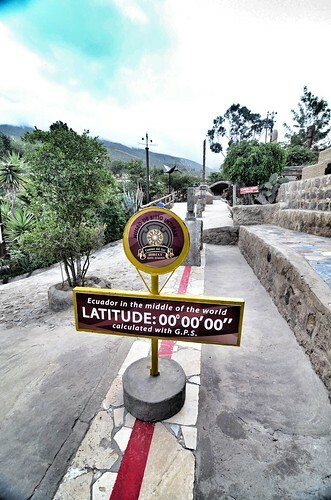 Currently there are some rumors that the real equator is somewhere near Mitad del Mundo and Intinan Solar Museum. Sooner or later it will be corrected and another real Equator will be known to mankind. But for the meantime, I got a stamp that I was at the Equator once in my life. That is that matters. It was a quick but an educational and interesting visit. Thanks again to Happy Gringo. I love that you continue to entrance and educate us in your travels. It is always a pleasure to visit. All those lines... In a few weeks I will cross the Arctic circle... But it's more forbidding in terms of climate..
And a few weeks ago there was a typhoon in Middle East. Now that's added to my to-do list! Great experience. Wow! I am glad you made good use of those 12 hours :D these pictures are absolutely incredible! Ah! That must have been great fun. Ah, Middle Earth is indeed a fascinating place! Really impressed with your photos, Totomai. I have been at the "continental divide" in the U.S., but that is truly 'small change' compared to standing AT the equator! Thanks for sharing. What a wonderful experience. Thank you for sharing! Wow, it is always such a Trip, coming to your site. 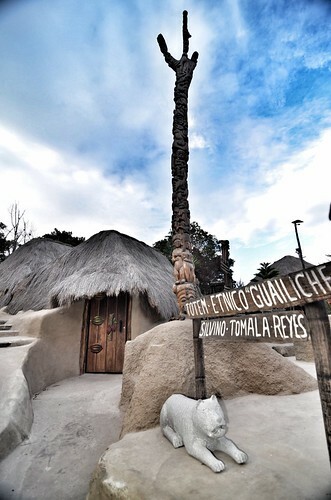 I loved this, totomai......when I think of the equator it is always a dry desert-like sandy thing, with nothing else there so it was a wonderment to see people and grass and structures.............I am so happy you travel, anjd take photos. I can do my traveling in the comfort of my armchair just by visiting your blog. Thanks for this. SOOOOOO interesting! Glad you got there and took the tour. I LOVE the yellow line that marks where the equator is thought to be, though it sounds like there are a couple of other possibilities. Awesome job! 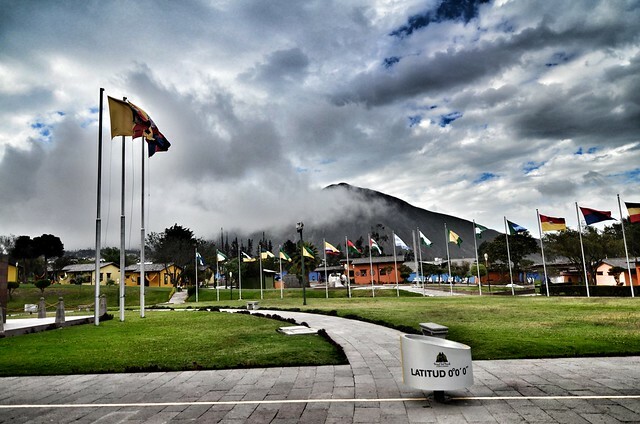 You make me want to go to Ecuador. It looks like an awesome place, and very beautiful. Thanks for the trip! I was also surprised, i have painted a different picture in my mond before going . Great pictures, I will have to visit. Thanks for sharing. I love how you so generously share your travels. I may never be there but at least I've spent a few moments visiting through you. Thank you so much! Very cool! I'd never seen it if not your photos and story....Thank you, Totomai! A another wonderful and exciting visit.